We’re one of the best Commercial Locksmiths in the San Antonio, Texas area! Our Locksmith Specialists are highly trained and knowledgeable to meet your company’s specific security needs in San Antonio, Texas. When it comes to the best locksmith service your company will need, our Locksmith Professional takes in to consideration your type of business, your business location, your office hours, employee turn-over, transportation routine and much more. 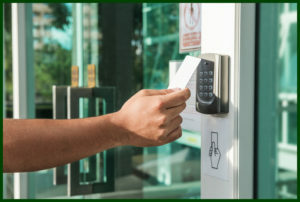 If you’re not sure what level of security your business needs, we can help! Schedule a FREE consultation with one of our Security Specialists now by Calling Now 210-672-5942. We’ll be happy to help you find a security solution that’s fits your company’s needs and budget!